A Bitcoin “mine” with a blue tin roof sits next to a hydroelectric power plant in Ngawa (Aba) Tibetan and Qiang Autonomous Prefecture, Sichuan province, September 27, 2016. 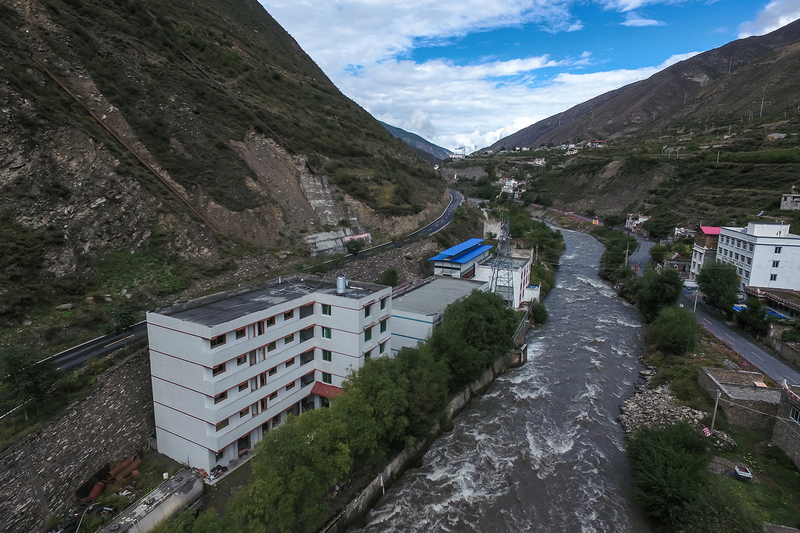 Located at the eastern edge of the Tibetan Plateau, the area has abundant hydropower, a key factor in making energy intensive mines cost effective. 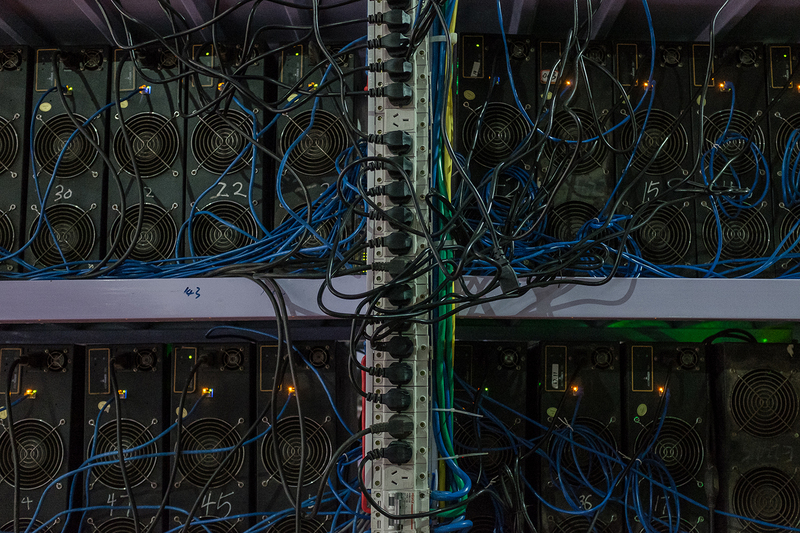 Electricity typically accounts for 60-70 percent of a bitcoin mine’s expenses. 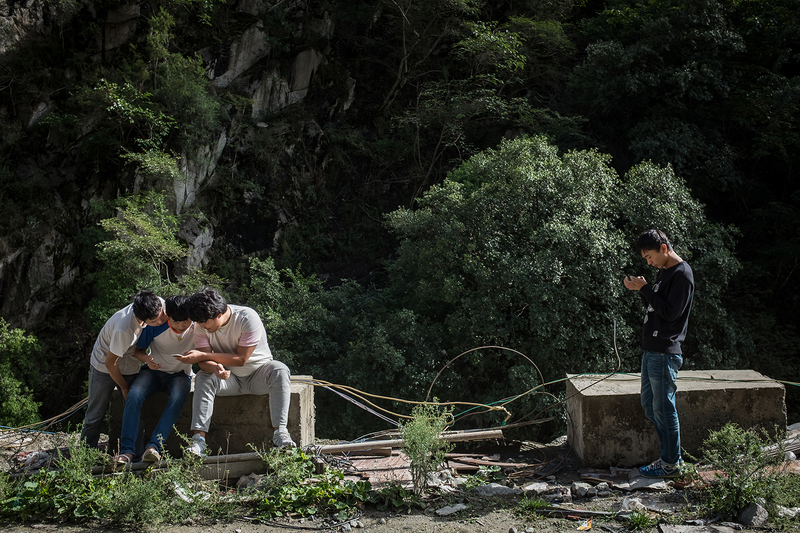 Employees use their phones at the Bitcoin mine, September 26, 2016. The mine has 550 “mining machines” running continuously. They solve complicated mathematical problems for which they are rewarded with Bitcoins. Seven employees work in shifts monitoring the machines to keep the mine running 24 hours a day. A 29-year-old Tibetan named Kun poses in between aisles of mining machines, September 26, 2016. Kun is the mine’s manager as well as one of its investors. He learned about Bitcoin through a friend and started investing in 2015. Huang, 25, Kun’s brother, inspects a malfunctioning mining machine during his night shift, September 26, 2016. Miners can check a machine’s condition and operations using phones and personal computers. For most issues, they can simply restart a machine. “If it’s a complicated problem, we just ship it to the factory and let them fix it,” Huang said. An employee at the hydroelectric power plant checks electric generators, September 26, 2016. Kun convinced the owner of the hydroelectric power plant to build a Bitcoin mine next to the power plant in 2015. 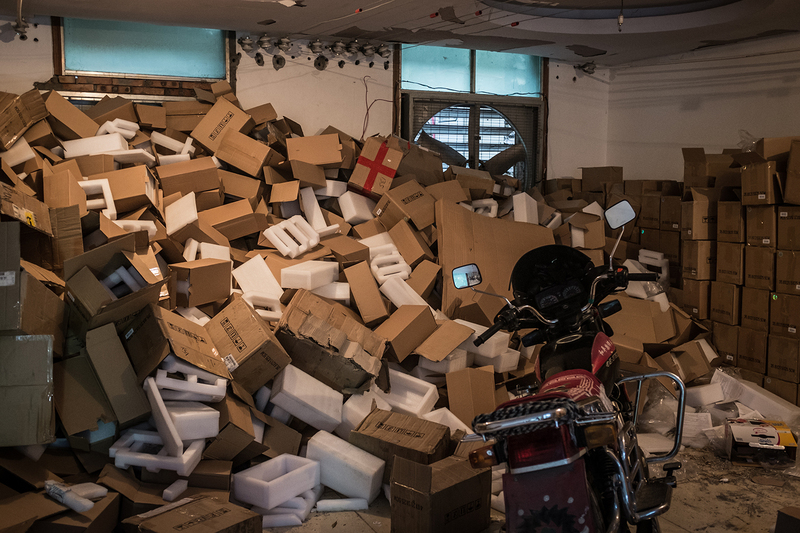 Packing boxes for mining machines pile up in an employee dormitory, September 26, 2016. Kun recently purchased new mining machines: the AntMiner S7 (U.S.$490) which has greater computing power than the AntMiner S5 (U.S.$140) it would replace. 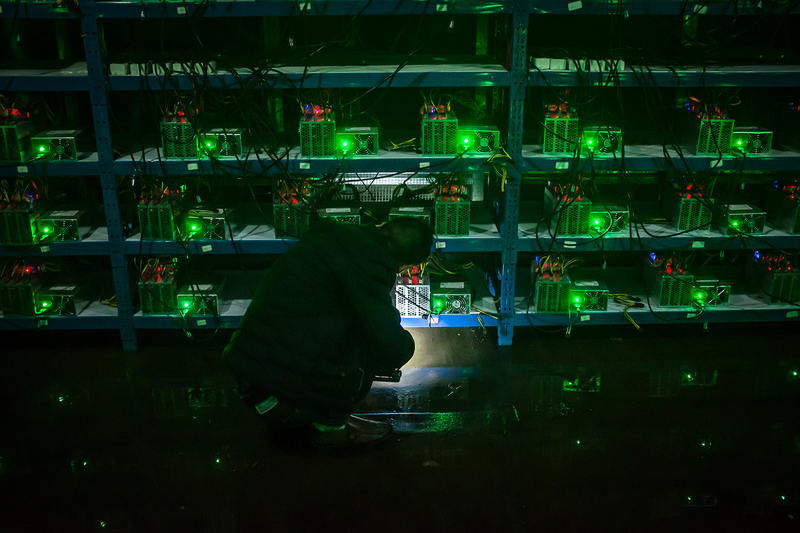 550 mining machines, a combination of S7 and S5 models, running 24 hours can mine 2.5 Bitcoins a day, according to Kun—worth around U.S.$6,400. 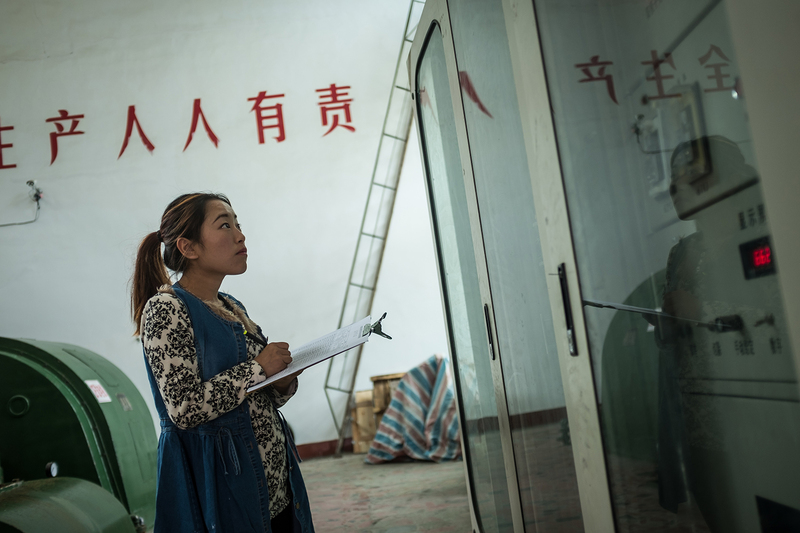 Tibetan women wait for a party hosted by Kun to celebrate the mining machines’ upgrade, September 26, 2016. 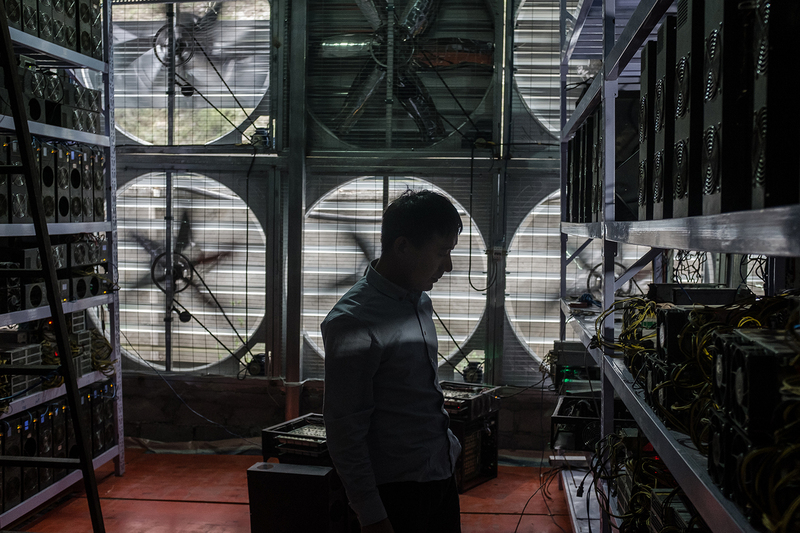 Liu, 29, stands in front of a wall of cooling fans at his Bitcoin mine where he houses and operates mining machines for miners who don’t want to move to rural Sichuan, in Ngawa Tibetan and Qiang Autonomous Prefecture, Sichuan province, September 27, 2016. Internet cables and power cables at Liu’s mine, September 27, 2016. Liu meets with clients, September 27, 2016. 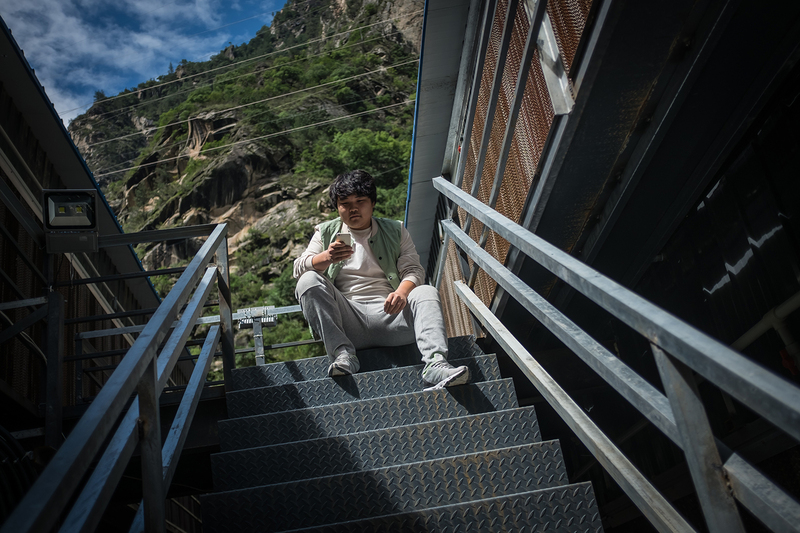 He moved from Henan province to Sichuan province in 2015 for the cheaper electricity. Now, he manages more than 7,000 mining machines for clients all over the country. Meanwhile, his clients can monitor the machines’ operation and Bitcoin earnings remotely using apps on their mobile phones. 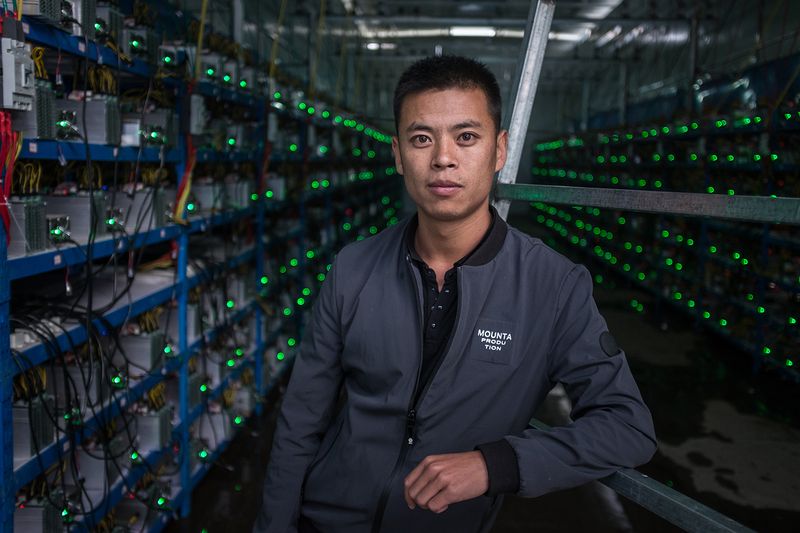 Sun, in his early twenties, is an employee of a Bitcoin mine in Ngawa Tibetan and Qiang Autonomous Prefecture, Sichuan province, September 28, 2016. 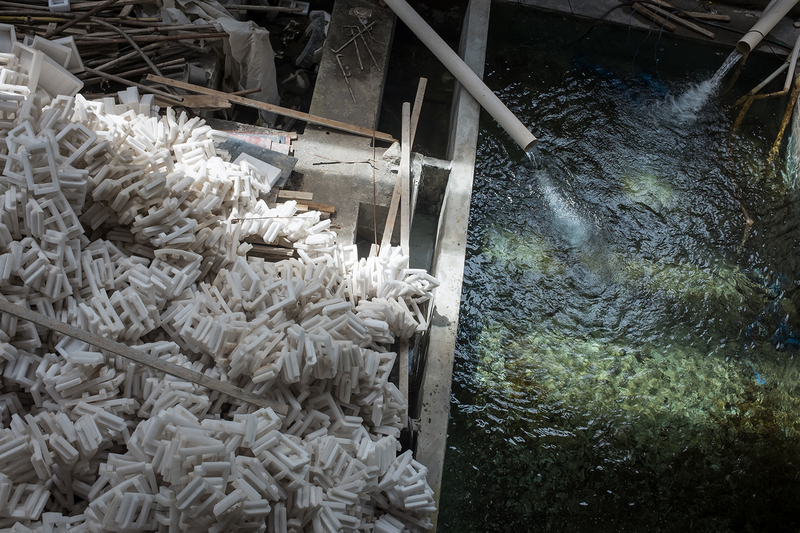 Packing materials for mining machines pile up beside the water-cooling system at Sun’s mine, September 28, 2016. Sun’s colleagues rest in their dorm, September 28, 2016. They live at the mine, which is so remote the nearest public transportation is 20 miles away, in the nearest town. They pay to hitchhike there once a week. “The good thing is, there isn’t anywhere to spend money, so you can save your whole salary,” Sun says. Employees use their phones near the mine Sun works for, September 28, 2016. 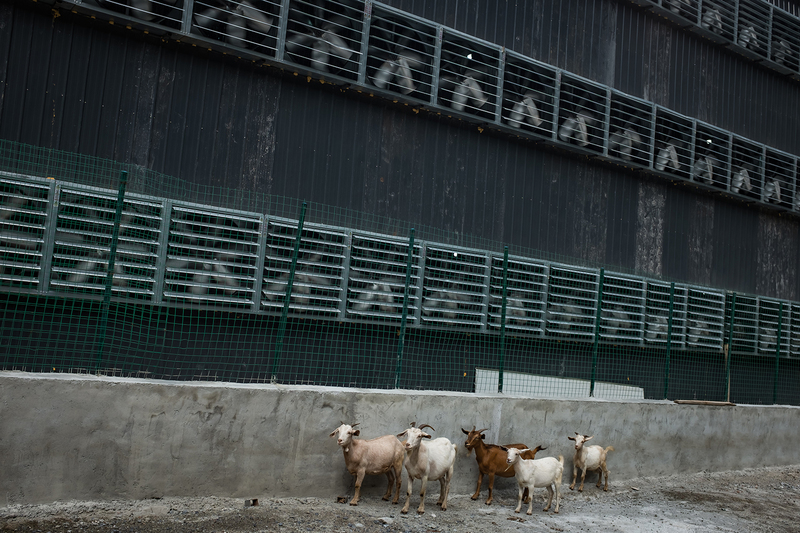 Goats from a nearby village walk among cooling fans at the mine, September 28, 2016. 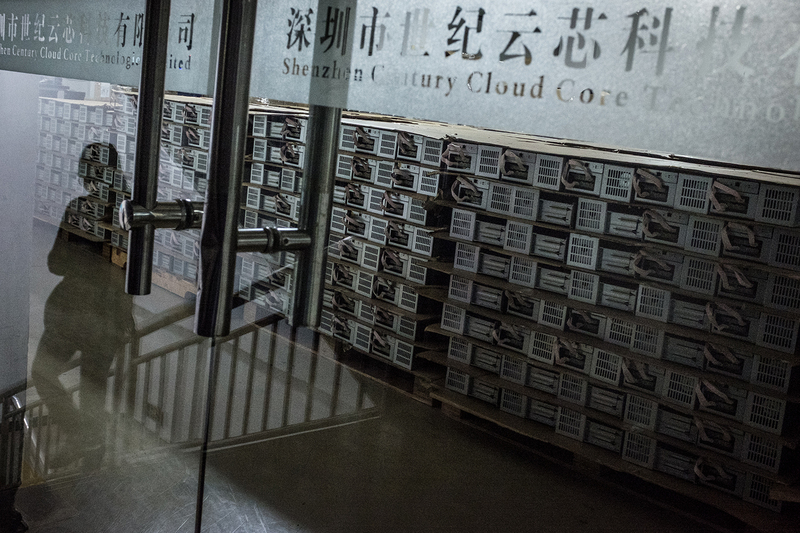 Stacks of AntMiner S9 mining machines ready to be shipped to clients around the world, at Bitmain Technologies’ manufacturing base in Shenzhen, November 9, 2016. Bitmain and Canaan, another Chinese company, dominate the global mining hardware market. 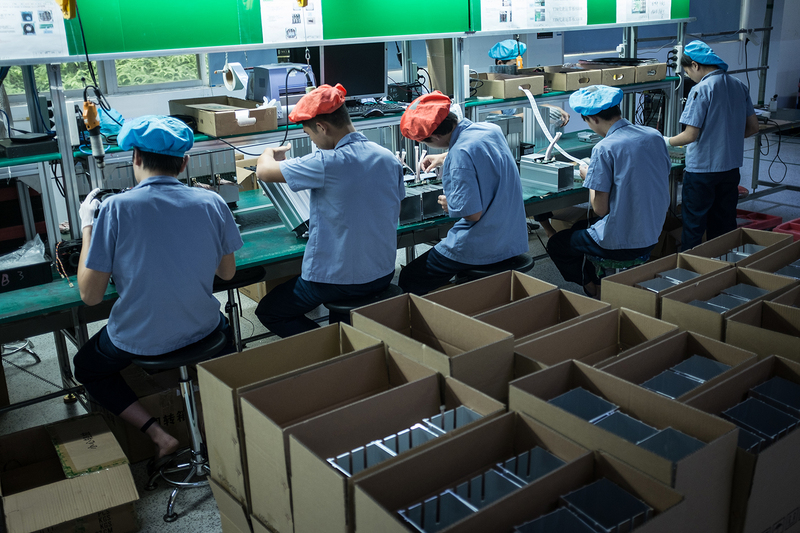 Employees work on an assembly line of AntMiner S9 mining machine at Bitmain’s manufacturing base, Shenzhen, November 9, 2016. 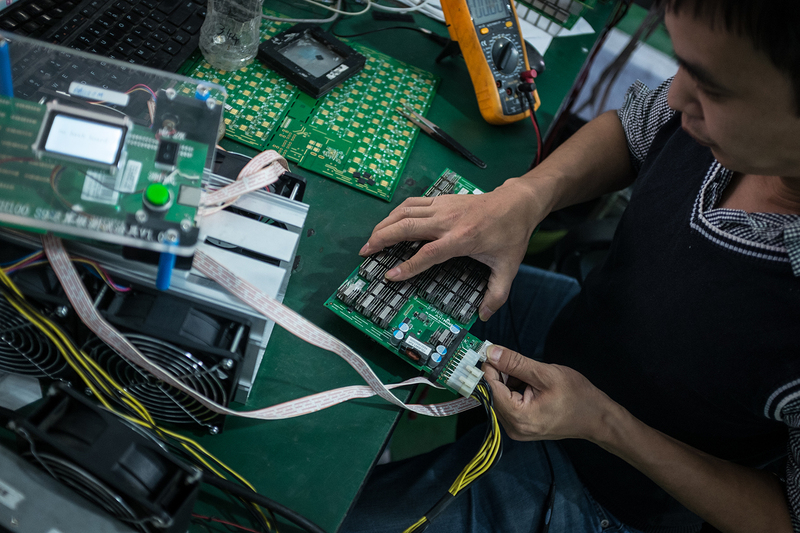 A researcher works in a lab at Bitmain’s manufacturing base, Shenzhen, November 9, 2016. 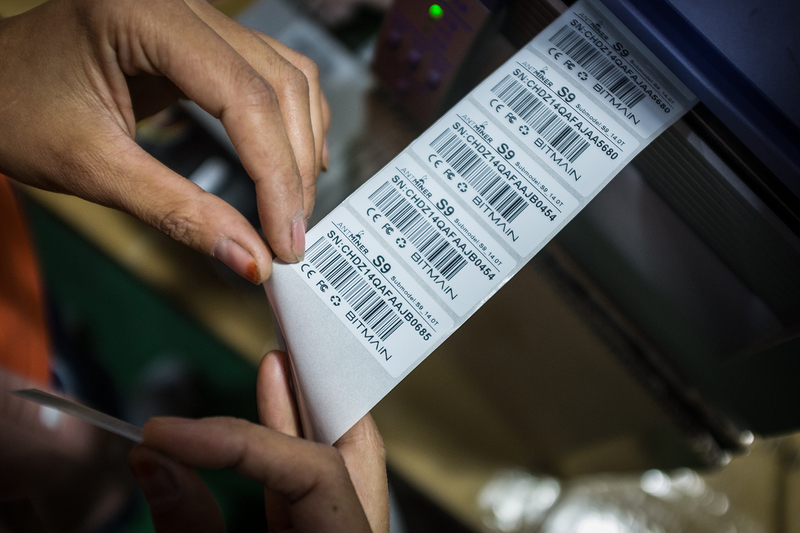 An employee puts labels on AntMiner S9 mining machines, in Shenzhen, November 9, 2016. The AntMiner S9 is the most efficient mining machine on the consumer market right now. It’s current cost is U.S.$1,113. 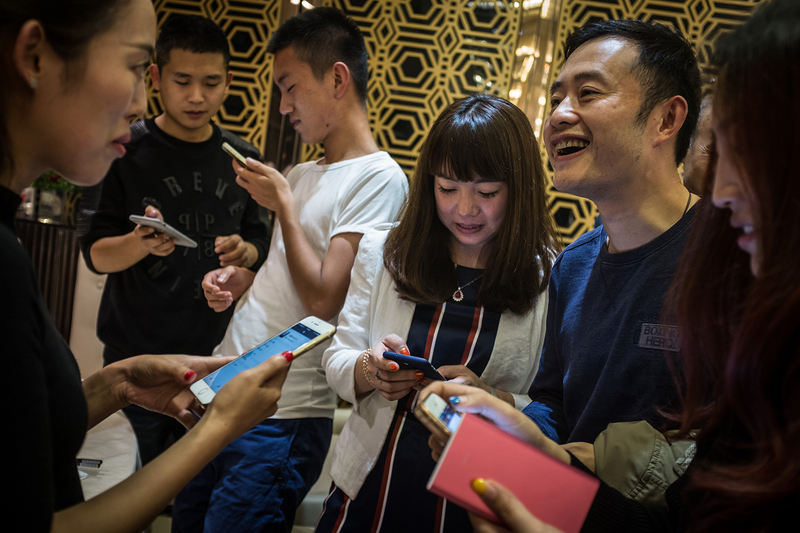 Bitcoin miners add each other on social media at the first China Bitcoin Miner Conference, at Chengdu Tianfu Financial Center, in Sichuan province, October 22, 2016. 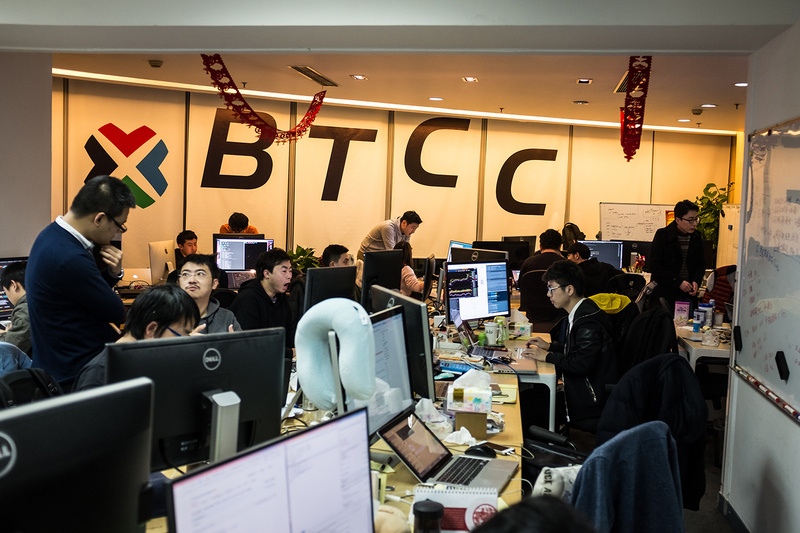 Employees work at BTCChina (BTCC)’s office, in Shanghai’s financial district, January 13, 2017. BTCC was founded in 2011, and is now one of China’s largest Bitcoin exchange platforms. According to its CEO Bobby Lee, Chinese people like the “online gambling” feel of Bitcoin’s instability; also, with the Chinese government’s restrictions on many investment channels, people welcome new ways to invest their money. 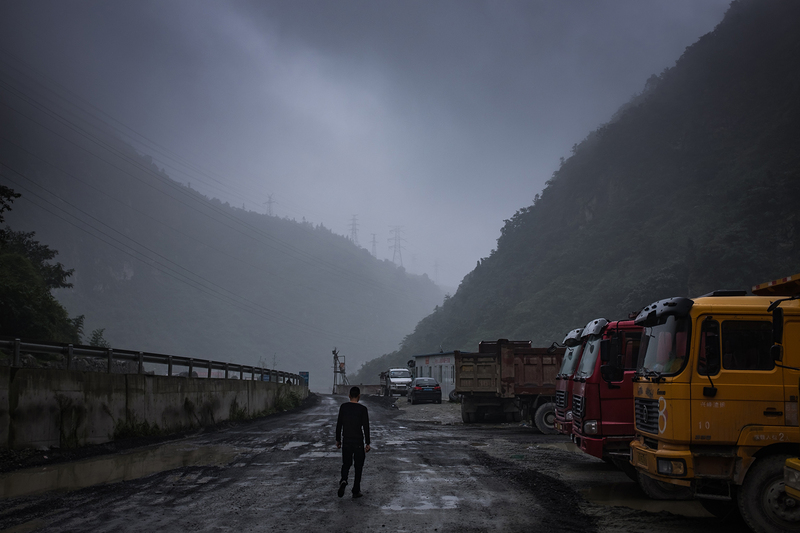 A mountain road winds toward Bitcoin mines, in Ngawa Tibetan and Qiang Autonomous Prefecture, Sichuan province, September 26, 2016. From the outside, the buildings with the bright tin roofs don’t look like places where money is made. High in the remote mountains of the region of China’s Sichuan province that borders Tibet, economic life has mostly centered on grazing and foraging. But for the past few years, villages beyond the reach of public transportation, where residents say there’s nothing much to buy and they couldn’t spend their income even if they wanted to, have begun to appear on the map of cutting edge global finance. 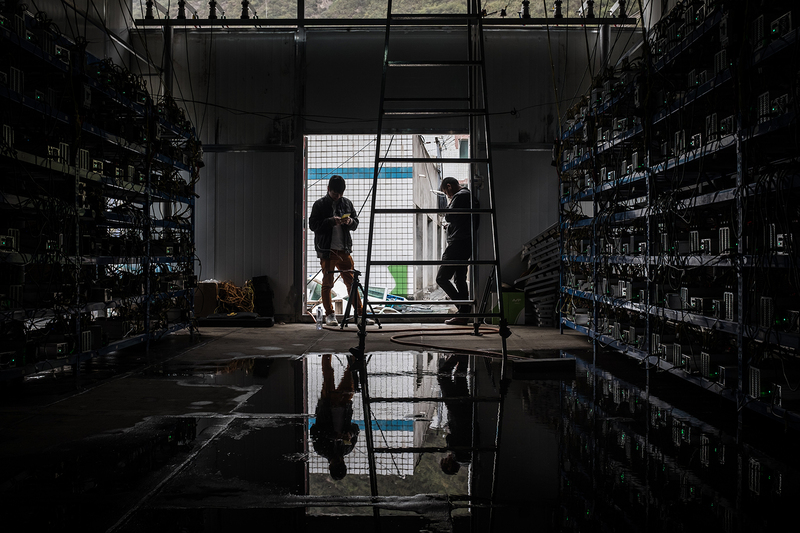 The buildings are Bitcoin “mines,” warehouse-like structures packed with microprocessors that solve complex math problems and are compensated for their efforts in the digital currency. 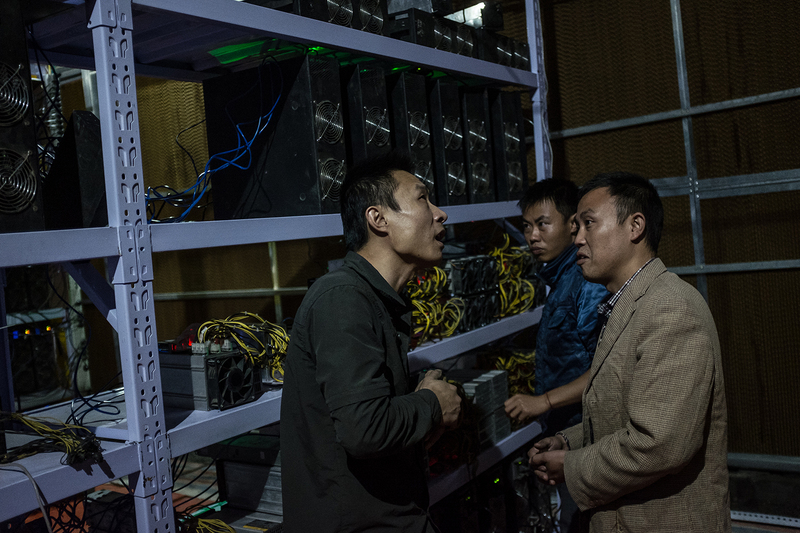 If you have ever used Bitcoin, as an investment or to pay for items or services on the Internet, chances are high that it was “mined” in China, using the method for generating new currency devised by the Bitcoin’s programmers. This method has been refined by entrepreneurial Chinese investors, in a country that has dominated both the currency’s generation and the global trade in the currency and where global financial volatility and tight government restrictions on conventional currency exchange have made Bitcoin especially attractive to investors. So far Bitcoin’s appeal in China has withstood a recent spate of government efforts to regulate it. Most financial activity in China takes place along its coast, and regions like western Sichuan are rarely associated with advanced computing. But given the high electricity needs of the large groups of computers required for Bitcoin mining, the industry has found a natural home in the region because of the abundance of hydropower there. Hydro-electric plants set up along mountain streams often produce more energy than they are able to sell to China’s state grid, and some plant owners have found they can either sell the surplus to Bitcoin mines—for which electricity accounts for up to 60-70 percent of expenses—or set up their own mines. This gives the remote mountain villages an edge over regions where electricity is more expensive. 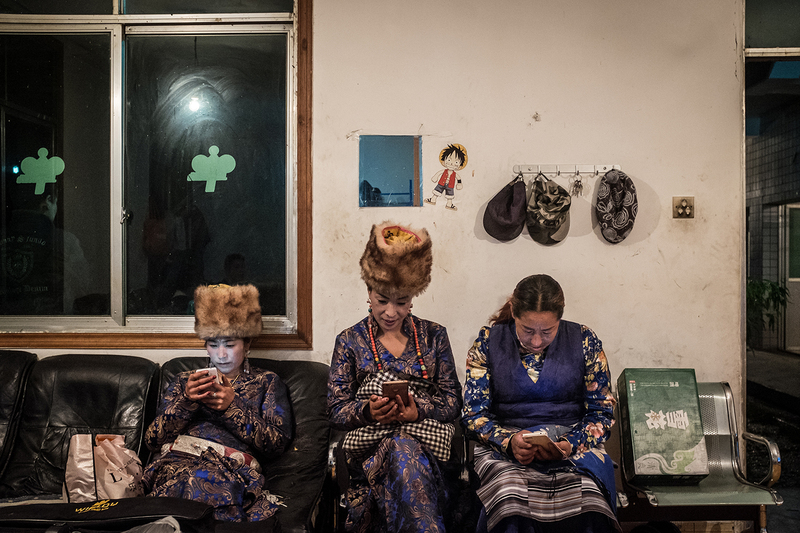 Photographer Liu Xingzhe traveled to Sichuan’s Ngawa (Aba) Tibetan and Qiang Autonomous Prefecture, some 175 miles from the provincial capital of Chengdu, to explore not only the operations of these mines, but also the lives of the “miners” who spend their days tending to whirring legions of machines. He also traveled to Shenzhen to see the factories where the world’s finest Bitcoin mining machinery is engineered and produced.